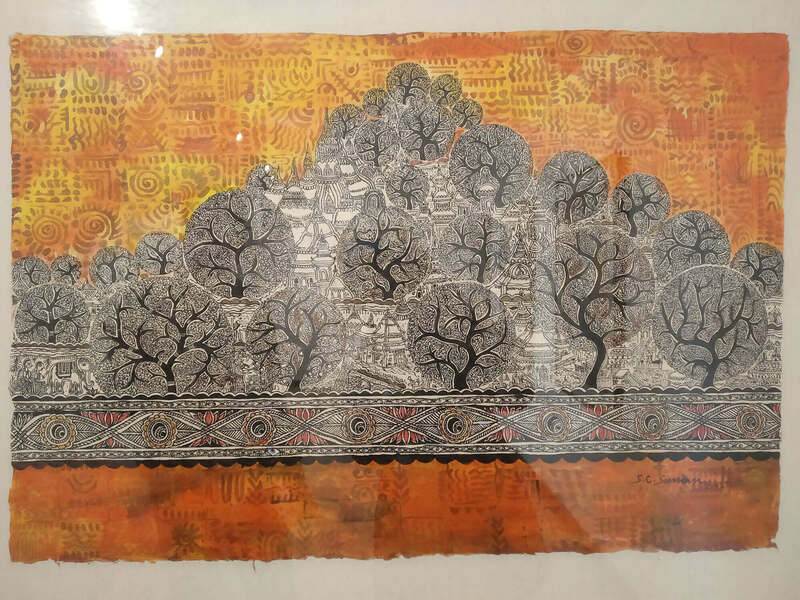 Artist Ranju Yadav grew up in a village of Rajbiraj of Saptari, and learned Mithila art from her mother, grandmother and aunts who painted the walls and floors of their traditional mud houses. 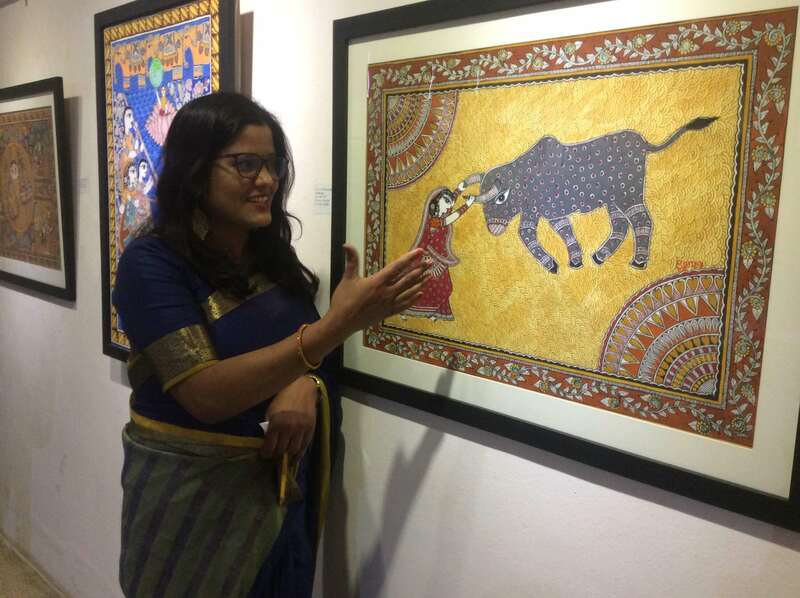 In her first solo exhibition, Colours of Change, Yadav transfers her heritage from walls to paper, creating a collection which represents Mithila art that are a commentary on society. 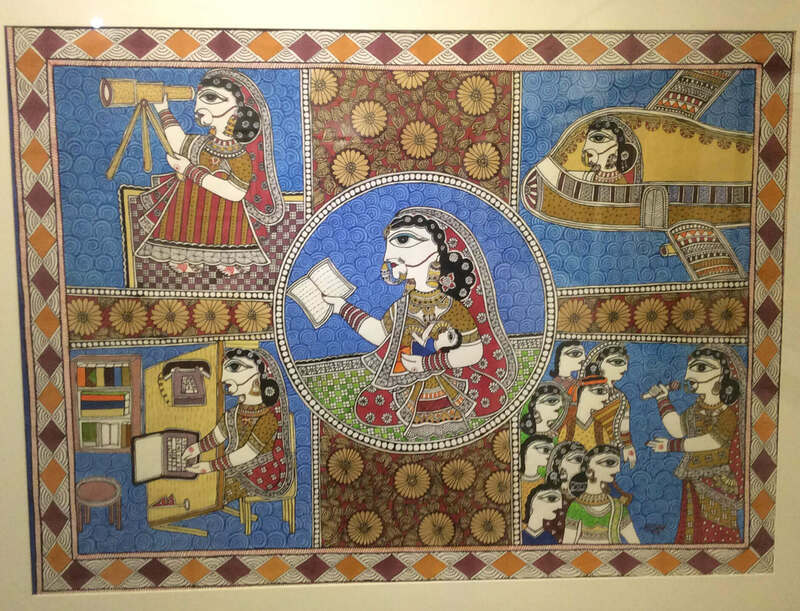 Yadav stays true to the techniques of Mithila art: her human characters face sideways, have elongated almond eyes, and all wear traditional clothing, women in saris and men in kurtas. The paintings feature intricate borders, as well as animals and birds. “Peacock, fish, lotus, elephants, and the detailed borders are defining elements of Mithila art,” explains Yadav, whose takes pains on the fine details of her work. The borders and geometries have a consistency that soothes the viewer. Yadav also presents a balanced variety in patterns that the viewer is drawn into the diverse intricacies of the painting. Her paintings are a burst of colour and the red, green, blue, and yellows all combine harmoniously to convey the vibrancy of Mithila art. But the artist is also conveying a message: women’s empowerment is a prominent theme. In Education is Power, Yadav has a woman at the centre, reading and four sections fan out, each showing a woman flying a plane, typing on a laptop, peering through a telescope, and giving a speech. Women can do anything with education. What makes this paining even more powerful is that the women are in traditional Mithila attire: women are carrying on their traditions, but are empowered. In Equality, Yadav shows a couple handling household work together, indicating what equality should look like. In another, Yadav shows a woman fighting a bull, and there are many other symbolisms of a woman’s inner strength. 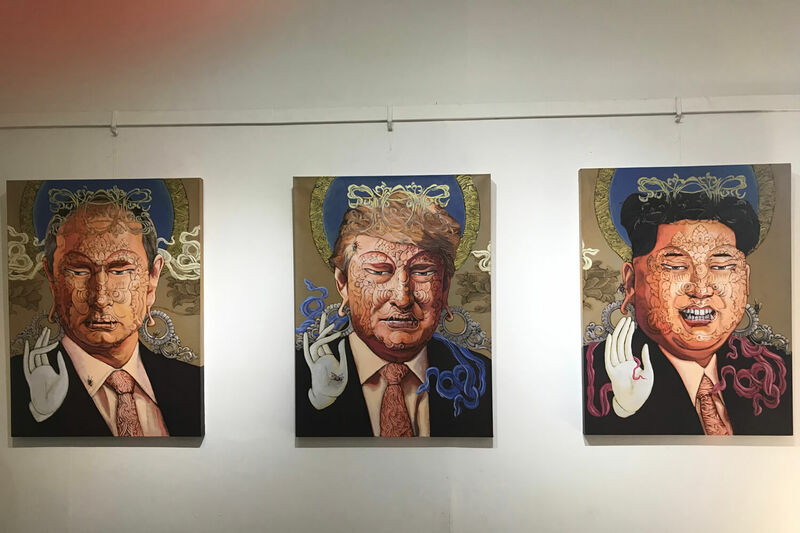 While her art highlights the problem, it simultaneously provides solutions and Yadav says that this is her objective. Mokh Chitra and Aripan are tributes to her heritage, featuring intricate patterns. In The World of Fish, Yadav paints six fish with detailed work in design and colour. In Celebration of Beauty, magnificent peacocks interact with women. 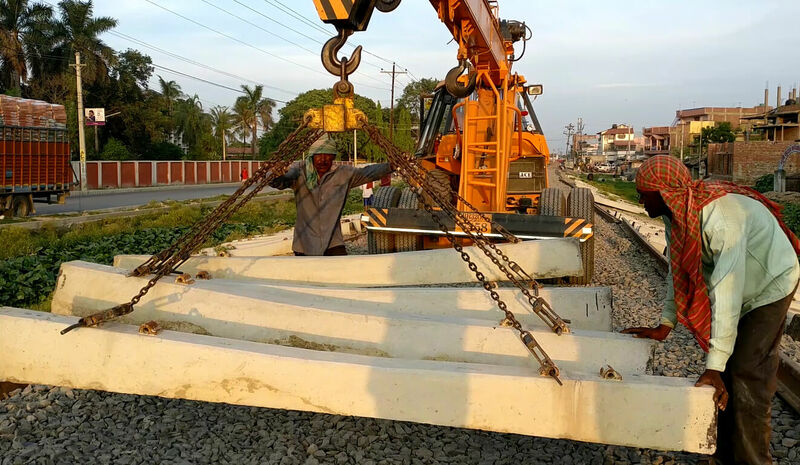 Disaster Tourism is Yadav’s sarcastic portrayal of the government’s inability to efficiently handle citizens suffering in disaster, and is poignantly timely with this week’s tornado disaster in Bara.